180 Commonwealth is located on the south side of Commonwealth, between Dartmouth and Exeter, with 176 Commonwealth to the east and 180 Commonwealth to the west. 178 Commonwealth was designed by architect Charles Atwood and built in 1883-1884 by Benjamin F. Dewing and Morton & Chesley, builders, one of two contiguous houses (176-178 Commonwealth) designed as a symmetrical pair with lower stories in the Romanesque style and the dormer pediments in a Flemish style. The houses were built for physicians and each had two front entrances, one on the outer side of the front façade, for use by the residents, and the other on the inner side, where the two houses join, for use by patients. The porches to the entrances are enclosed and fronted with three arches (the two entrances to what were the medical offices sharing the center porch and arch) with windows in the bays between the arches, creating a continuous plane across the entire front of the two buildings. 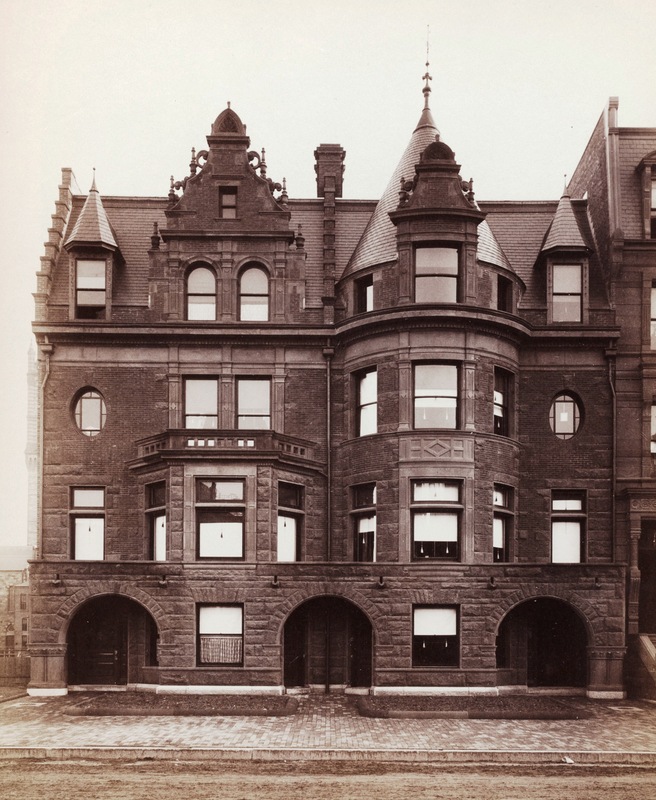 Although this design would appear to violate the original setback restrictions in the Back Bay deeds, in 1894, the Board of Harbor and Land Commissioners (the agency with jurisdiction to enforce the deed restrictions) determined that it did not. 178 Commonwealth was built as the home of Dr. James Batchelder Bell and his wife, Mary Pauline (Robinson) Bell. He was a homeopathic physician and also maintained his medical offices there. They previously had lived at the Hotel Cluny at 543 Boylston and he had maintained his offices at 52 Boylston, possibly in association with William Palmer Wesselhoeft, also a homeopathic physician, who maintained his offices at the same address and for whom 176 Commonwealth was built. The Bells had lived (and he had practiced) in Augusta, Maine, until about 1880. He is shown as the owner of 178 Commonwealth on the original building permit application, dated October 5, 1883. James Bell and William Wesselhoeft each purchased the land for their homes on June 14, 1883, from Richard H. Stearns. He had purchased both lots from the Commonwealth of Massachusetts on June 5, 1883. Click here for an index to the deeds for 178 Commonwealth. The Bells’ three children — Florence Bell, Samuel Robinson Bell, and James Hudson Bell — lived with them. Florence Bell married in June of 1888 to Rev. Pitt Dillingham. A Unitarian clergyman, he was pastor of the Church of Our Father in Buffalo, where they moved after their marriage. Pitt Dillingham resigned his pastorate in Buffalo in 1889, and by 1891 the Dillinghams were living with the Bells at 178 Commonwealth. In 1892, Pitt Dillingham’s sister, Mabel Dillingham, joined with Charlotte Thorn to establish the Calhoun Colored School in Calhoun, Alabama, in partnership with Booker T. Washington. Mabel Dillingham died in 1894 and Pitt Dillingham assumed the role of co-principal, although it appears he continued to live in Boston. James Hudson Bell, treasurer of an oil company, died in July of 1902. Mary Bell died in January of 1909. James Bell continued to live at 178 Commonwealth with their son, Samuel, and the Dillinghams. James Bell died in September of 1914. 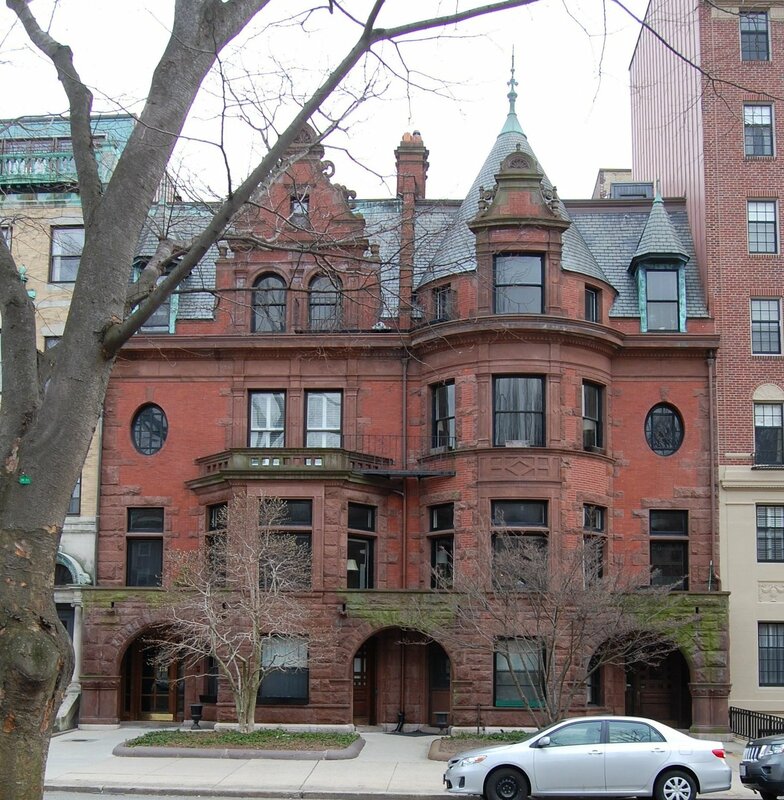 After his death, Samuel Bell moved to Rutland, Massachusetts (where he died in August of 1917) and the Dillinghams moved to The Charlesgate at 535 Beacon. 178 Commonwealth was not listed in the 1916 and 1917 Blue Books. By the 1917-1918 winter season, the Dillinghams had resumed living at 178 Commonwealth. Their daughter, Pauline, lived with them. By the 1918-1919 winter season, the Dillinghams had been joined at 178 Commonwealth by Henry Robson Jewett and his wife, Frances (Hastings) Jewett. They previously had lived at The Charlesgate at 535 Beacon. Henry Jewett was a noted actor and director. He was the founder of the Henry Jewett Players, a repertory company that performed at the Copley Theatre at 22 Huntington. He built the Repertory Theatre at 264 Huntington (today the theatre where the Huntington Theatre Company performs), which opened in 1925, funded largely through public subscriptions. Frances Jewett was a dramatist in collaboration with her husband and a Christian Science practitioner. The Jewetts were joined by Miss Hope Ladd, also a Christian Science reader, who served as treasurer of the Repertory Theatre Fund. In the 1920 US Census, the Dillinghams’ daughter, Pauline, was listed as a theatrical director, probably with the Jewett Players. The Jewetts and Miss Ladd continued to live at 178 Commonwealth during the 1922-1923 winter season, but moved soon thereafter to Newton. After Henry Jewett’s death in June of 1930, Frances Jewett and Hope Ladd moved to Ashville, North Carolina. When Frances Jewett died in March of 1947, she left a large bequest for the care of her three cats with Hope Ladd as trustee. During the 1923-1924 winter season, the Dillinghams were joined by Dr. Benjamin C. Woodbury and his wife, Gertrude Francis (O’Neil) Woodbury. He was a homeopathic physician and a poet and playwright. By 1925, the Dillinghams had moved to 5 Chestnut and Dr. and Mrs. Woodbury had moved to 11 Marlborough. On May 19, 1924, 178 Commonwealth was acquired from James Bell’s estate and heirs by Helen A. Ward, and on June 26, 1924, she conveyed the property to Miss Bertha K. Filkins, director of the Chamberlayne School. 178 Commonwealth became Chamberlayne School and Miss Filkins’s home. The school previously had been located at 261 Clarendon, which also had been Miss Filkins’s home. In about 1932, Theresa G. Leary and Anna T. Leary, sisters, became (respectively) principal and associate principal of the school. They reorganized the curriculum to offer college level instruction. 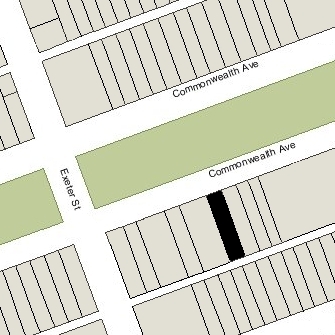 Chamberlayne School continued to be located at 178 Commonwealth until 1935, when it moved to 229 Commonwealth. In 1935, 178 Commonwealth was leased by The Gingerbread Club operated by William Plummer Montgomery, a stockbroker, and his wife, Katherine A. (Millea) Montgomery. They also lived at 178 Commonwealth. They previously had lived in Falmouth. In November of 1935, Katherine Montgomery, as president of The Gingerbread Club, filed for permission to “clean up” 178 Commonwealth and convert it from a school into a private club. 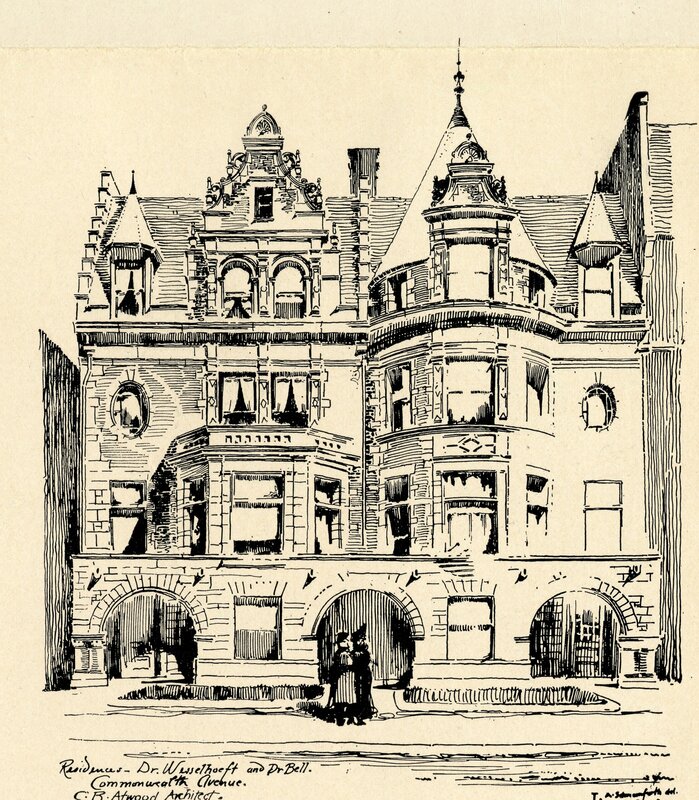 The application was abandoned, but the Montgomerys nevertheless operated The Gingerbread Club in the house. Although the original application was for a private club, it appears that The Gingerbread Club may have functioned as a public restaurant. On March 11, 1936, the State Street Trust Company foreclosed on the mortgage given by Helen Ward and assumed by Bertha Filkins and took possession of 178 Commonwealth. William Montgomery died in November of 1939. 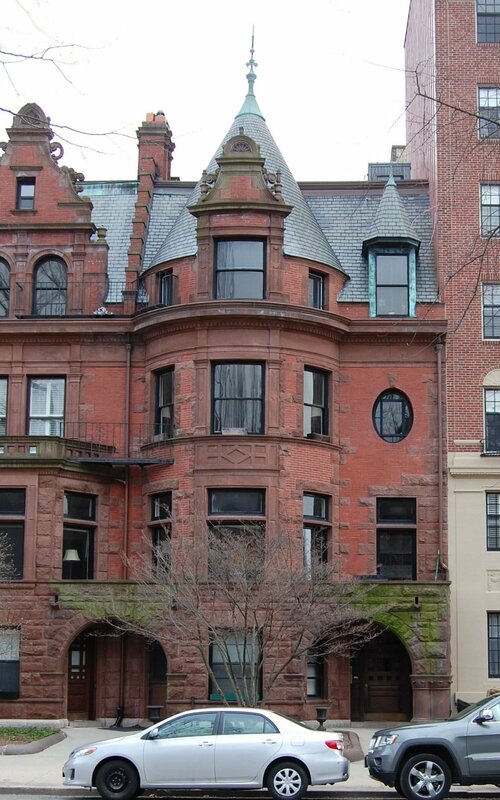 Katherine Montgomery continued to live at 178 Commonwealth and operate The Gingerbread Club until 1940. On August 12, 1940, 178 Commonwealth was purchased from the State Street Trust Company by Kerney Arnold Delaney. On October 2, 1941, 178 Commonwealth was acquired from Kerney Delaney by Roy Frank Kipp, a lawyer. 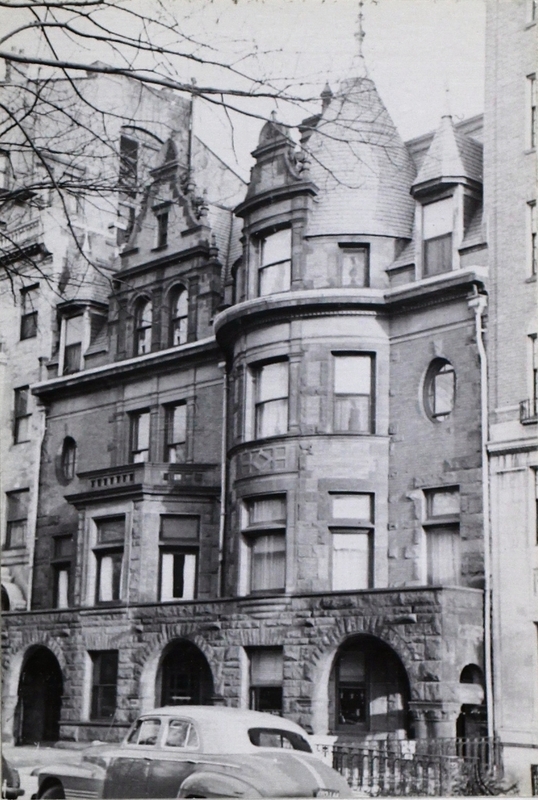 He and his wife, Elouise N. (Ferguson) Patterson Kipp, made it their home and operated it as a lodging house. They previously had lived at 214 Newbury. In June of 1942, he purchased 163 Commonwealth across the street. On November 28, 1942, Elouise Kipp was killed In the fire that destroyed the Cocoanut Grove night club. Also killed was Evelyn V. Richardson, a secretary, who was a lodger with the Kipps. Roy Kipp subsequently moved to 163 Commonwealth. He remarried in May of 1945 to Delillus Crockett, and he and his new wife moved back to 178 Commonwealth. In January of 1943, Roy Kipp purchased 174 Commonwealth, in March of 1946, Delillus Kipp purchased 172 Commonwealth, and in November of 1957, she purchased 176 Commonwealth. In January of 1949, Roy Frank Kipp filed for (and subsequently received) permission to convert 178 Commonwealth from a single-family dwelling into eight apartments. On March 21, 1970, 178 Commonwealth was purchased from Roy Frank Kipp by Alberta A. Cuddy. She purchased 174 Commonwealth from him on the same day. The Kipps continued to live at 178 Commonwealth in the 1970s. In January of 1973, Alberta Cuddy filed for (and subsequently received) permission to convert 178 Commonwealth from eight apartments into ten apartments. On March 28, 1975, Daniel M. O’Reilly and I. Bud Herzog, trustees of Rennell Realty Trust, foreclosed on the mortgages on 178 Commonwealth and 174 Commonwealth given by Alberta Cuddy to Walter Angoff and assigned by him to them. On the same day, they transferred the property to Daniel M. O’Reilly and John M. Nelson, IV, agents and general partners in 174/178 Commonwealth Avenue Associates. On April 12, 1979, 174 Commonwealth and 178 Commonwealth were acquired from 174/178 Commonwealth Avenue Associates by Kevin O’Reilly and Stephen V. Miller, trustees of 174-178 Commonwealth Renewal Trust. On July 26, 1979, they converted 178 Commonwealth into ten condominium units, The 178 Commonwealth Condominium. 176-178 Commonwealth, drawing from the Inland Architect (Feb1889); Inland Architect Collection, Ryerson and Burnham Libraries, The Art Institute of Chicago (Digital file #IA1301_0285-0286).